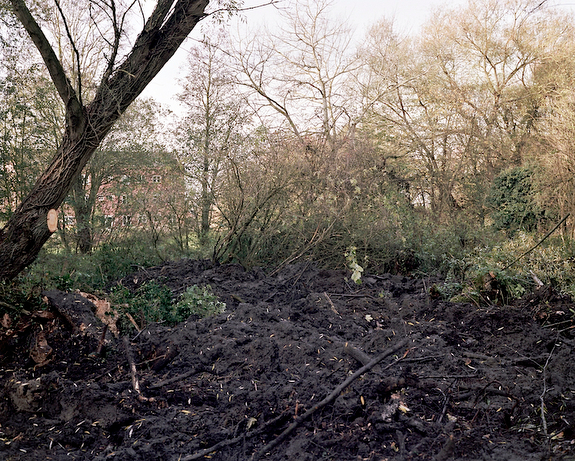 The Ditch is a survey of a small area (approximately 9 acres) of land in the midst of development, photographed over an extended period of time; an exploration of the photographer’s potential role as archaeologist through the study of excavations and analysis of physical traces left on the landscape. Although the development is mainly away from street frontage, the area is not archaeologically sterile. 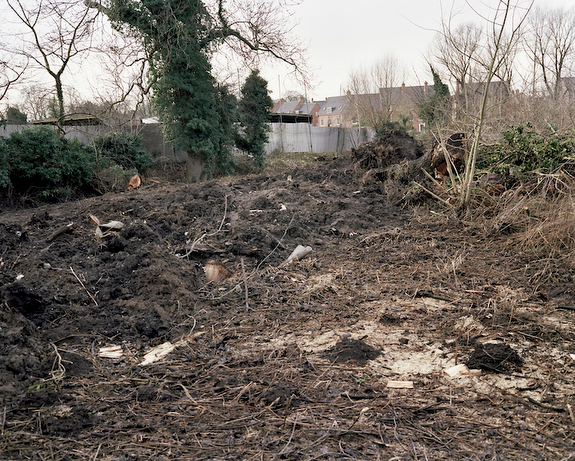 Previous archaeological interventions have revealed that the meadow is generally characterised by worked soils with only sparse evidence for occupation; medieval and later landscaping, backfilling and dumping. Walking The Ditch I often encounter discarded materials; the foremost signs of a human presence besides the marks of machinery. These photographs call into question our complex relationship to the landscape; why is it that we examine remnants of the past with fascination, yet disregard present-day development and dumping as an eyesore; at what point does our detritus become artefact ?